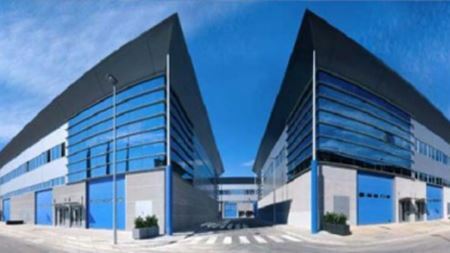 After many years working with a distributor, Sterling Fluid Systems has opened its own pump sales office in Badalona, just north of Barcelona, Spain. The tube elements and pumphead design of the 520 peristaltic pump allows concentrated, neat dyes to be transferred directly to paper machines. Sulzer Pumps has signed a new global alliance agreement with mineral resource company Vedanta for the supply of pumps and after-market services. Sweden’s SKF is buying US based lubrication systems provider Lincoln Industrial for US$1 billion from Harbour Group. Three submersible borehole pumps, manufactured at KSB’s Homburg site, Germany, will be used to discharge crude oil from an underground rock cavern. Wilden’s Advanced pumps are designed for mining operations where large solids and abrasives are often handled. Pumps Valves & Pipes Africa (PVPA) 2011 will take place 7–9 June 2011 in Johannesburg, South Africa. Robbins & Myers Inc is to acquire T-3 Energy Services Inc in a deal valued at US$422 million in stock and cash. GE is acquiring Dresser Inc, a global energy infrastructure technology and service provider in a US$3 billion deal. The new models in the 6800 IVS range incorporate the Soft Fill feature which reduces the risk of hydraulic shock damage and water hammer. The Gorman-Rupp Co has completed the previously announced acquisition of National Pump Company LLC.